Nadi has a population of around 50,000 and is situated on the largest island in Fiji, Viti Levu. The town was established in 1947. 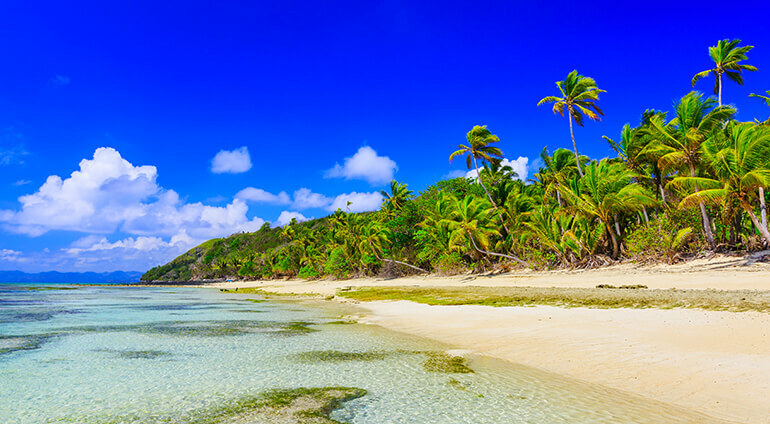 Fiji is famous for being a stunningly beautiful place with pristine beaches, palm trees and clear blue seas. The people here are very friendly and Nadi is one of the safest places in the area. Some of the key hotels are located along the road from the airport to downtown and most have a free shuttle service. Many people end up waiting in Nadi for transfers by ferry, plane and boat to other islands in the area. Nadi is warm, relaxing and welcoming and has some lovely beaches to enjoy. Spend some time chatting with the locals and unwinding between flights. There are plenty of cafes, shops and restaurants to enjoy on a stopover to Nadi. It’s a multicultural town and a key transport hub for internationally tourists and travellers.